Perfect tour for someone who had arrived three hours earlier after a sleepless overnight flight from Durban. Only two of us on tour along with our guide Ekrem. Leisurely and informative tour. Ekrem was relaxed and friendly. Off beaten track tea shop with panoramic view. Wow. Recommend. We did this tour on our first day in Istanbul. Luckely for us, the small group was just my wife and I. We had a fantastic guide Tolga. We got so much information about the places we visited with him and many tips about what we could do the next days in Istanbul. 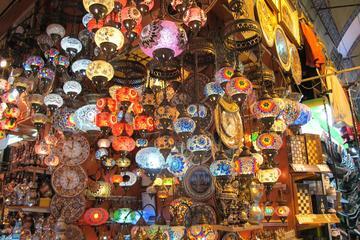 This tour is highly recommandable, certainly on the first day in Istanbul.